I always enjoy reading “What I’ve Learned” posts; you know, the ones that typically show up around birthdays and work anniversaries. Since I enjoy them so much, I thought I’d do my own each year RLS Wealth Management celebrates a birthday, July 3rd. When I tell people, usually other advisors, the story of RLSWM I am usually asked if I was concerned whether or not my clients would not follow me to my new company. The uncertainties surrounding clients keep many advisors (and other professionals) at an employer they wish they could leave. I understand the question and concern, but it was never an issue in my mind. 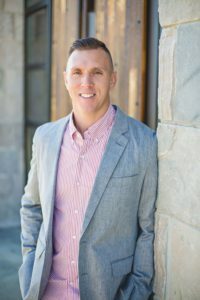 There was no doubt in my mind whether or not my clients would follow me–of course, they would–when I submitted my letter of resignation in May 2015. We’d gotten to know one another. I understood their goals and concerns. We’d developed and implemented a plan for their goals. And most importantly, we’d developed friendships extending beyond business. Instead of being concerned about my new venture, my clients were excited and extremely supportive of the change–and if you work in finance, you understand change, especially when it comes to money, is not always easy for people to process. The importance of relationships doesn’t only lend itself to client relationships, but also to professional relationships. Being a solo-advisor, I don’t have anyone in the office next door to bounce ideas off of, complain to, or just be a needed distraction from time to time. Luckily, we live in a time where technology allows us to interact with strangers across the globe. Sometimes those strangers become friends on Twitter. Sometimes those friends on Twitter become friends in real life. My appreciation of FinTwit is no secret. I don’t think I’d be where I am as an advisor, investor and business owner if it wasn’t for the relationships I’ve developed through social media, specifically Twitter. These relationships have helped me start a blog, not only start a podcast, but have tremendous guests, and challenge my beliefs and grow as an advisor. If you take care of people, genuinely take an interest in their well being and develop deep relationships you will notice things magically seem to go your way. Plus, it just feels good to be a nice person. There is no shortage of social media gurus encouraging followers to quit the job they have to follow their passions. While I find most of the quotes and cliches regurgitated by these gurus disingenuous, I do believe it is possible to follow your passion, or at least explore if it is a viable option. I didn’t grow up with an entrepreneurial spirit. I didn’t have lemonade stands, I didn’t sell candy to classmates, and I didn’t even have a job until going into college. So, I never set out with the goal of starting my own company–it wasn’t a passion of mine growing up. As I progressed in my career, it became obvious I would never be able to become the advisor I wanted to be. I wouldn’t be able to be in full control of who I wanted to work with. I wouldn’t be able to explore different investment strategies and implement the ones I felt were best for clients. I wouldn’t be able to create content to help educate about financial planning. I wouldn’t be able to maintain the balance between work and family. Being able to do all of this, and more, became non-negotiable. The only way I could make it all happen was to start my own firm, which became my passion. I’m lucky the career I am so passionate about is one that I could really make happen with a little risk and hard work. Unfortunately, not all passions fit this bill. In evaluating whether or not you can turn your passion into a career, it’s important to be honest with yourself. Explore the demand for your passion, the ability to make a living from your it, the potential for growth, and what foundation needs to be laid to give yourself the best chance of success. Don’t give up a steady paycheck, health benefits, 401(k) match for something that has no real opportunity at becoming a business. I grew up passionate about basketball. I’m still very passionate about music. I could have decided that I was going to put all of my efforts into trying to become a professional basketball player (in Europe–NBA was never a possibility) or become a music producer. No amount of passion would help me carve out a career in either profession, which is why I say follow your passion, just within reason. I Only Kind Of Like Being A CEO. Being a financial advisor is great; I love spending time with my clients, developing financial plans, following the markets, and creating content to communicate with clients and educate others. Being a business owner is also great. I love having the ability to run my business the way I think is best and making my work schedule fit in with my home life. Being a CEO is just alright. Filling the role of the compliance officer, preparing paperwork, logging CRM notes and a number of other important administrative duties I lump together under the CEO role take time from the things I enjoy the most, which also happen to be the most beneficial for my RLSWM. I’ve read enough business books, have had a business coach and listened to enough podcasts to know by now I should have delegated those administrative and operations tasks to allow me to focus on the tasks I enjoy the most and are most important for the company. Hiring brings on additional expenses, oversight, and potential complications. To avoid hiring, I could partner with another advisor or join an existing firm, but those options require sacrificing control, freedom and more. At this stage, I’m not ready to do that. So, I’ve made the executive decision to begin the process of making my first hire. Hopefully, before long I’ll be able to delegate the tasks I find painful to someone who thrives working on those projects. The catch is, while I will be alleviating some of the pains of being a CEO, I will have also created new ones centered around managing other people. But don’t get it twisted, I’m loving what I’m doing too much to allow these nuisances to hold me down. -Josh Brown during his presentation on the value and importance of creating a brand. Share who you are. Let others get to know you before they even meet you in person, and when they finally do meet you in person BE that person. The beauty of this approach is you get to fully be yourself, which always makes work more enjoyable. You also attract people with similar interests; whether they be new clients or peers in your industry, being surrounded by people who share similar interests and beliefs is invaluable. Running a registered investment advisory firm affords me more flexibility than advisors working for broker-dealers and wirehouses when it comes to creating content. I’ve been able to include my family, my love of hip-hop, and passion for fitness and nutrition in my writing and videos. I’ve been able to drop the suit and tie for a more casual and relaxed dress. And you know what, my clients haven’t cared and new clients have sought me out because there was something about me they like…I know hard to believe. So, Be yourself and allow the person you are attract the right people into your life. 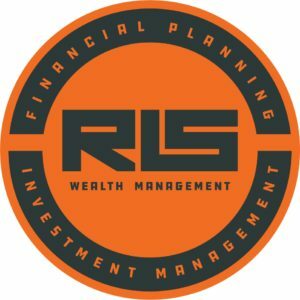 I certainly learned more than what I’ve shared in this post, but as I look back at the last three years of starting, growing and running RLS Wealth Management these stand out the most. I’m excited to see what I learn in year four and will share with you next July.